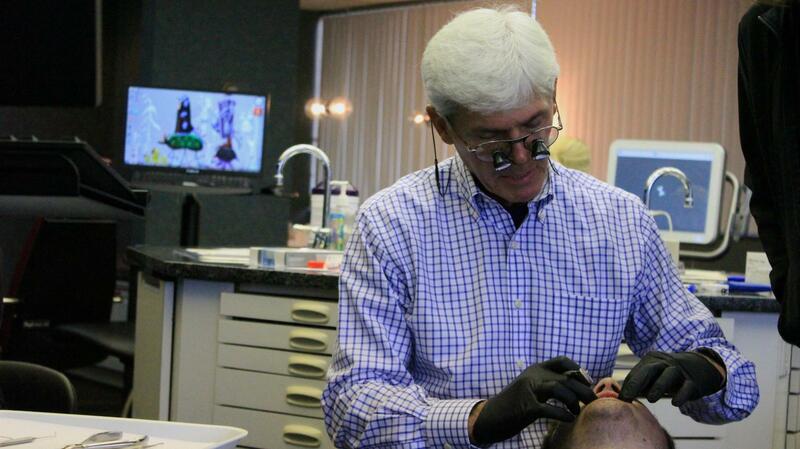 Within Terry Gruelle’s schedule two unlikely fields merge: soccer and orthodontia. Since 1999, he’s been both an assistant coach for NKU women’s soccer team and a world renowned orthodontist. “We are the top one percent of Invisalign providers in the entire world. You have a little Greater Cincinnati area here and yet you do more than anybody,” Gruelle said. A part of his success stems from reinvention; being one of leading providers for Invisalign, he said he finding solutions to issues is a large portion of his job. “You get to see things no one has ever seen before, know things no one has ever known before and teach things that no one has ever taught before, that is fun,” Gruelle said. Between lecturing internationally, operating five different offices with over 30 employees in Greater Cincinnati and coaching for the Norse, Gruelle’s schedule seemingly is always packed, even on his birthday. Though his days are hectic, Gruelle said he is thankful for his employees, whom he credits (along with his sleeping habits) for allowing him to work around his often packed schedule. In the early morning, when no one is calling, he said he’s able to get the most work done (be it merely finding space to think, paying bills or working on cases). In orthodontia, scheduling can prove to be difficult for Gruelle. All of the scheduling conflicts are well worth it for Gruelle, who loves coaching soccer; he compared it to vacation in that it takes his mind away from his day job. Gruelle has been coaching at NKU since only two years after the birth of the women’s soccer program, and has seen it come a long way. Sitting underneath honeysuckle limbs, Gruelle and Sheehan would do anything to get out of the heat when possible during recruitment in the early stages of the program. “We use to play our games down at Town and Country; we started up here then had to move down there. Of course then we finally got this wonderful facility,” Gruelle said. Gruelle has spent decades as an orthodontist and soccer coach, but says he did not always know what he wanted his profession to be. “I wanted to go into medicine but I didn’t know which kind so I ended up deciding I wanted to go into dentistry,” Gruelle said. After three years of practicing general dentistry, Gruelle chose to go into orthodontia. 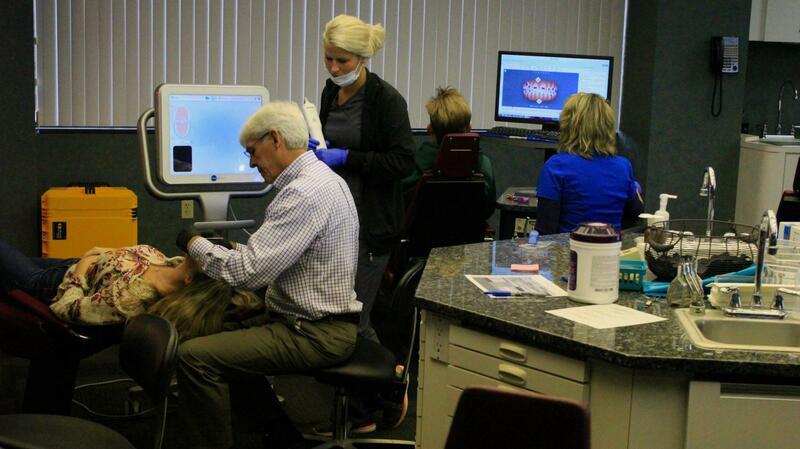 “The orthodontics field has changed so much over the years and obviously it can be very lucrative and also you don’t receive many emergency calls, which helps facilitate me being able to do so many things.” Gruelle said. Gruelle compared his coaching and orthodontics careers by saying that in both fields he is only trying to help others. “I just try and make people have as much self esteem as possible. My college soccer players, having been here so long and working with this age group as well as having children of my own, I know it is a tough age to find yourself. If I can help someone find themselves that is all I can ask for.” Gruelle said. 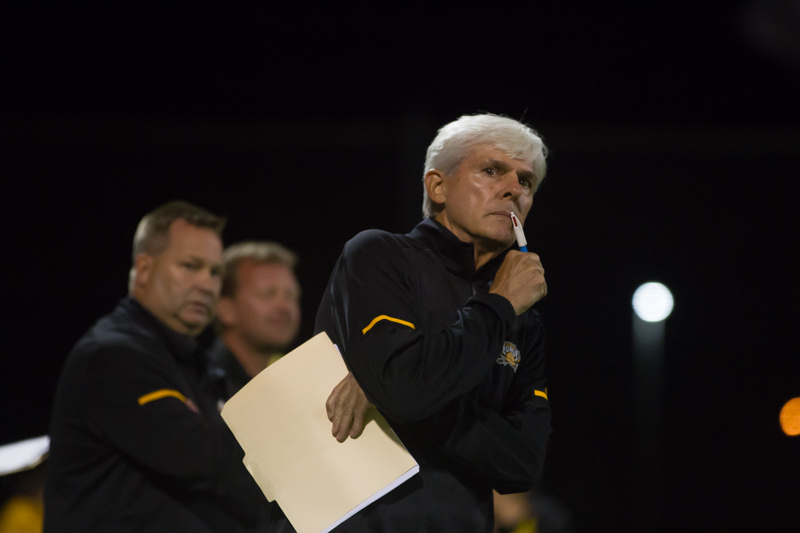 NKU women’s soccer head coach and long time friend, Bob Sheehan, says that Gruelle has a passion for not only orthodontia and soccer, but also for helping other people. Gruelle says that his role on the team is to try and lift everyone up beyond their potential because that is how he is personally in life. NKU senior women’s soccer player Jessica Frey says that Gruelle comes to practice every day with a smile on his face. She also says that he helps in games when she is not happy with herself. Gruelle likes to see his players overachieve because he personally is an overachiever.